CLIVE BARKER (born in 1952) signed 8″ x 12″ glossy color still from Hellbound : Hellraiser II (1988) in silver ink. 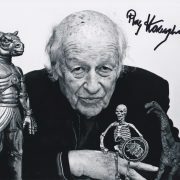 He directed Hellraiser (1987), Nightbreed (1990), Lord of Illusions (1995) etc. 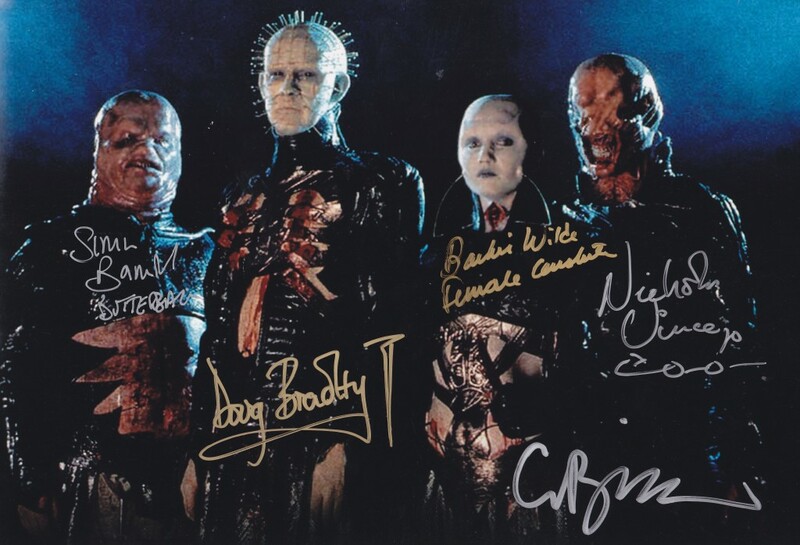 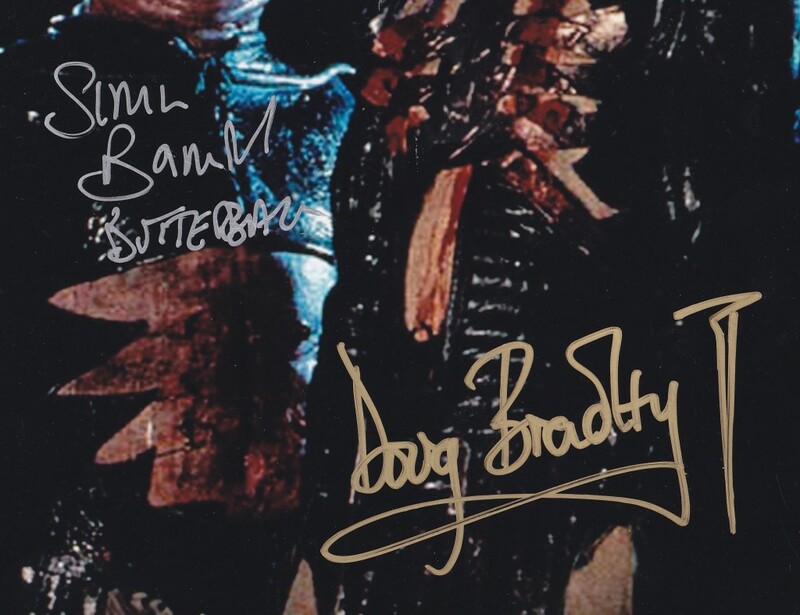 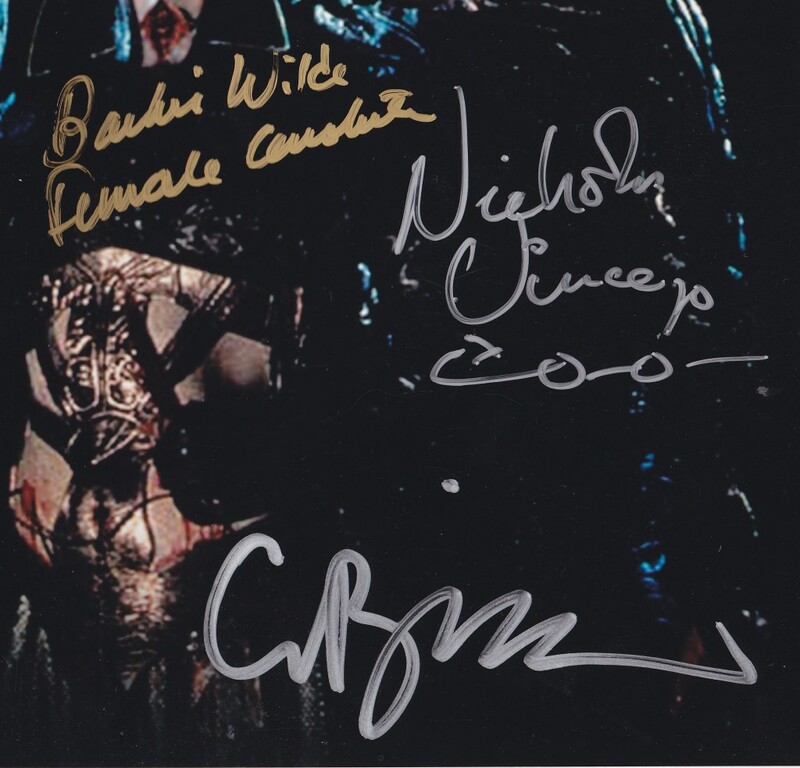 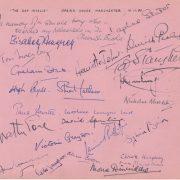 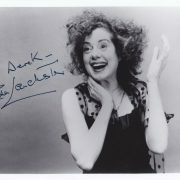 This still is also signed by Doug Bradley, Barbie Wilde, Simon Bamford and Nicholas Vince.